Eliminate Creditor Calls: If you have been receiving harassing calls from creditors because of debts you owe, filing for bankruptcy triggers an ‘automatic stay’; this means creditors no longer have the legal right to contact you by phone, email, or by any other means. Creditors that may continue to call will be then breaking the law, and are subject to fines and penalties. Improve Credit Sooner Than You Think: While bankruptcy will affect your credit score and remain on your credit report for several years, you will still have opportunities to rebuild and repair your credit. You can do this relatively easily within a few short years, and learn some better money management skills in the process. Keep Your Property: You will no longer be at risk for losing your home or property because many of your assets will be exempt from seizure after declaring bankruptcy. This varies from case to case, however, which is why it helps to have an attorney by your side to explain your options. 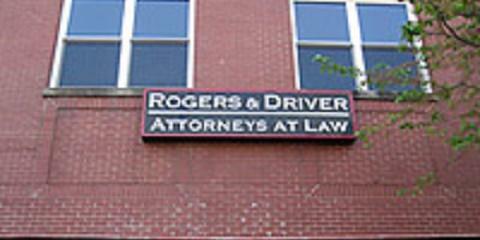 If you need more information about bankruptcy laws and your options for filing bankruptcy, get in touch with the attorneys at Rogers & Driver Attorneys at Law in Glasgow, KY. They can review your situation and provide legal advice to improve your financial standing. Call this experiences team of attorneys at (270) 651-2258 or visit the firm’s website for more information.